It's a dry, blazing hot day as I zigzag my way up a hill with my guide, Yvonne, in Nkolokot, an impoverished area near the city of Blantyre, Malawi. Threading through the densely packed lanes crammed with small homes, shops, and thousands of people, Yvonne teaches me words in the local dialect. We laugh as I mangle the language despite my best efforts. As we walk, we stop at every water kiosk. These kiosks are public water taps connected to the city's water system, and in Nkolokot, they are managed by Water User Associations (WUAs). The WUAs provide jobs, primarily for women, who collect a small fee from residents who line up to fill colorful buckets with water. 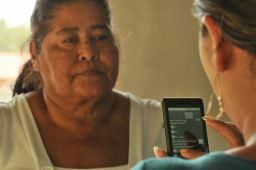 Leveraging funding from Cisco, Water For People began developing FLOW in 2010 to revolutionize its monitoring efforts. 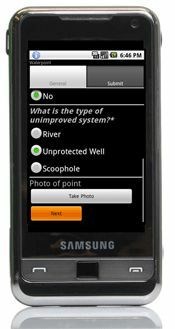 FLOW is designed to allow users to create surveys that can include text, photos, video and GPS coordinates. Phones can store hundreds of surveys and data can be collected in areas where there is no cellular connection; it automatically transmits the data once there is a mobile connection. This means that no matter where in the world, organizations can harness the power of FLOW. Akvo FLOW allows Water For People to collect the information needed to see a more complete picture of the water conditions in Nkolokot, and in all the areas where we work. Using the survey tools, we speak with community members, find out if water service is reliable, whether someone can fix problems, and better understand ongoing issues. This kind of monitoring is a cornerstone to sustainable water solutions across the developing world. 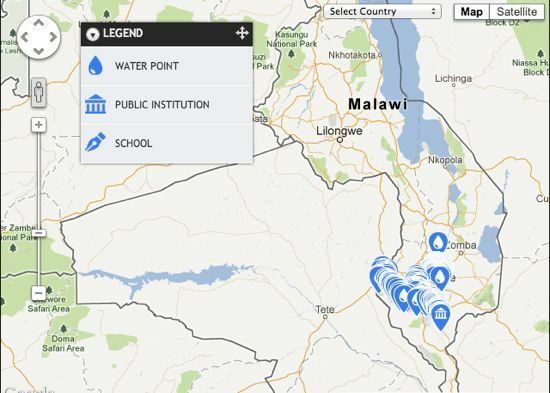 For Water For People, Akvo FLOW has significantly changed the way we track progress and improvement. When Yvonne and I started at the bottom of the hill, most of the water kiosks were working and had short queues of women waiting to collect water. As we climbed higher, however, fewer and fewer kiosks had running water, and by the time we reached the top of the hill we learned that it had been several days since water regularly flowed through the pipes. Every tap without flowing water means more families walking farther distances for their daily needs. Clearly there is a problem, and one we highlight with Akvo FLOW. Not all water and sanitation organizations can see this kind of issue and then make plans to resolve it. In developing countries, it's all too common to come across broken water pumps installed by an NGO that once worked in the area. That's why development organizations must commit to ongoing monitoring of their work. Akvo FLOW makes that possible. If we really want to reach everyone with water and sanitation that will last forever, services must be monitored. It empowers local staff and partners to identify strengths on which to build and weaknesses that must be tackled. Harnessing technology allows for better collaboration and the opportunity to quickly react to data with impactful changes. 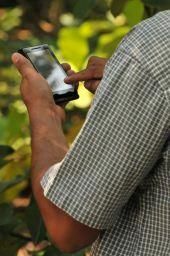 So while at first glance, Akvo FLOW might seem like another mobile application, in reality it has the potential to help solve the global water crisis. Water For People is a partner of Cisco, a sponsor of the ImpactX section.